A large number of hospital patients are elderly or have mobility problems. And, in an age of compensation culture; patient lifting and transfer has to be carried out with the utmost safety in order to avoid injury to either staff or the person being moved. 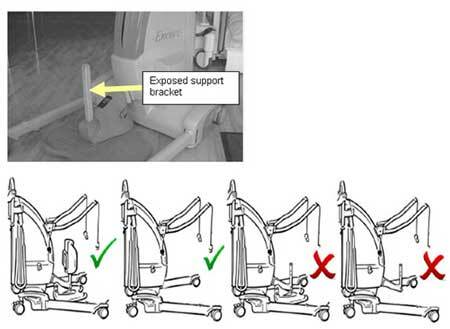 Modern hoist equipment is helping to address this, offering tried-and-tested solutions that, not only address the risk factors associated with lifting weight, but also, in some cases, enable people to self-lift, freeing up staff for other patient-facing duties and increasing independence. Bob Oliver, hoisting specialist at Innova, said: “It is now recognised that hoists can be used for a much-broader range of activities than just in- and out-of-bed transfers. There are three main types of hoisting systems. Within these systems are a further range of choices, all driven by current trends and demands. For example, over the past couple of years more bariatric ranges have been launched to address the growing problem of obesity. ArjoHuntleigh, for example, has launched The Tenor, a mobile solution that can carry up to 320kg – just over 50 stones. In addition, self-operating systems give users more independence and charge-on-the-rail options mean less time is spent recharging batteries. 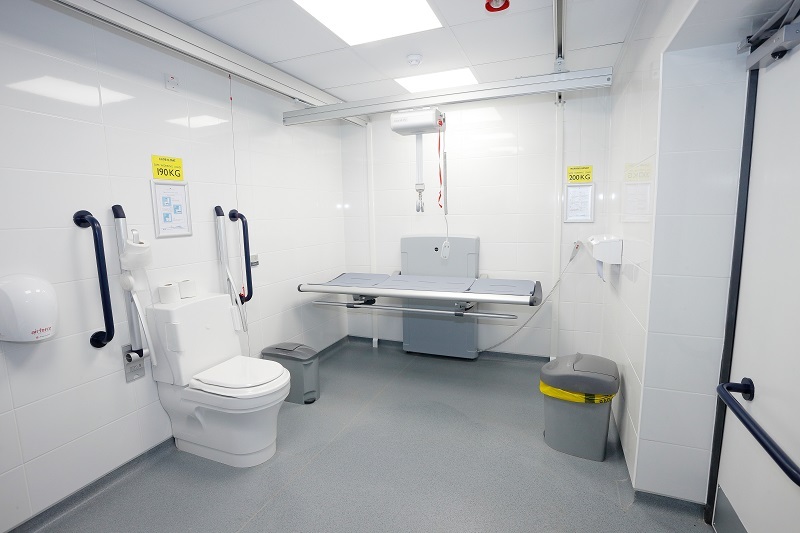 Innova recently won an £850,000 contract to fit 277 hoists across 313 rooms at the new Midland Metropolitan Hospital in Birmingham because of its unique curtain solution, which enables a hoist unit to be shared between beds and to pass over curtain rails. 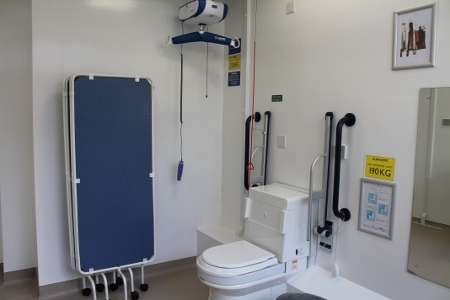 The company also supplied products to the Hollybank Trust in Mirfield, West Yorkshire, a school for children with complex needs. 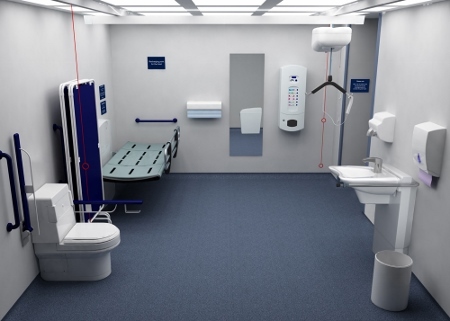 When specifying the right solution, Oliver advises: “It is vital to ensure the system is as flexible as possible and allows for changes in bedroom layouts and a variety of different client types. Robin Tuffley, marketing manager at Clos-o-Mat, added: “Whether new-build or refurbishment; the structure needs to be strong enough to support the weight loading if a ceiling track is being used. When selecting mobile hoists, particular attention needs to be paid to where the legs are going to go and whether the floor surface is smooth enough to allow easy operation. Thick carpet or threshold strips are difficult to manoeuvre over. It is also important to check there is sufficient operating range to lift a person clear of any surface, and perhaps also to pick them up from floor level in an emergency. And mobile systems need to be stored when not in use, preferably in an area where they are out of the way, and with a charging point for their battery; while ceiling systems may mean joists need to be reinforced and doorways altered. The popularity of hoist systems is only set to continue, as under BS8300:2009 it is recommended that all new-build multi-occupancy buildings, such as hospitals and care homes, provide a minimum 5% of bedrooms with a fixed-track hoist system and a further 5% offering capability for future adaptation. “Research and development continues apace in this market, with some of the latest drivers leading to the launch of charge-on-the-rail and self-lifting equipment.